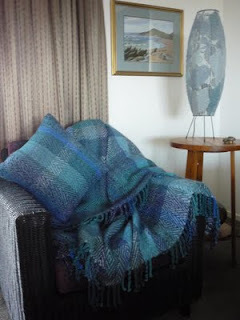 Karapiro blanket and cushion went to Inspirit Gallery a short time ago. 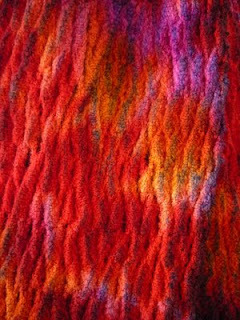 Warp mainly wool and alpaca and weft mohair, all hand dyed. Woven two layer twill. As selection for the Bay of Plenty Area exhibition happened yesterday I can show what I entered. 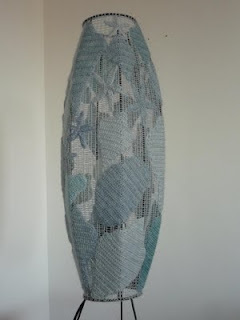 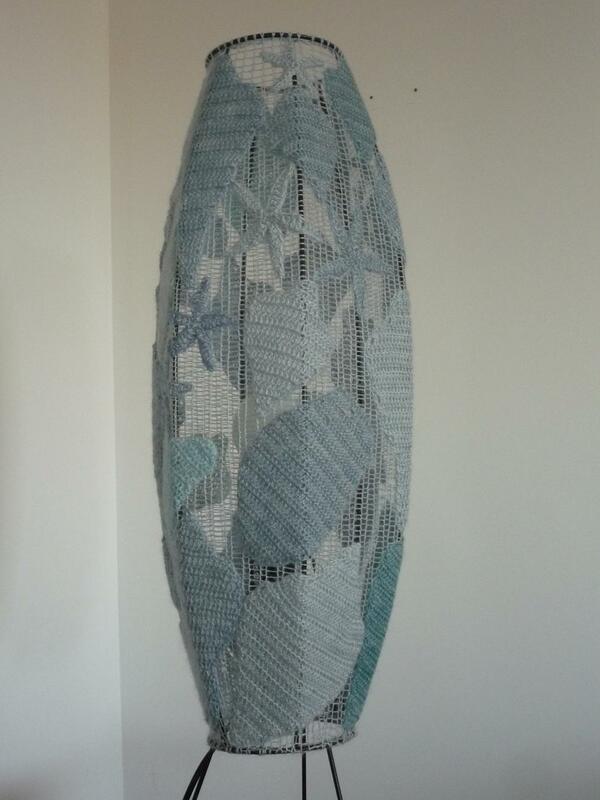 This lamp shade has a very open knitted base fabric attached to the frame and crochet shells attached. 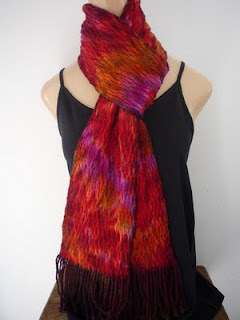 And I couldn't resist entering a shibori scarf "Fire".